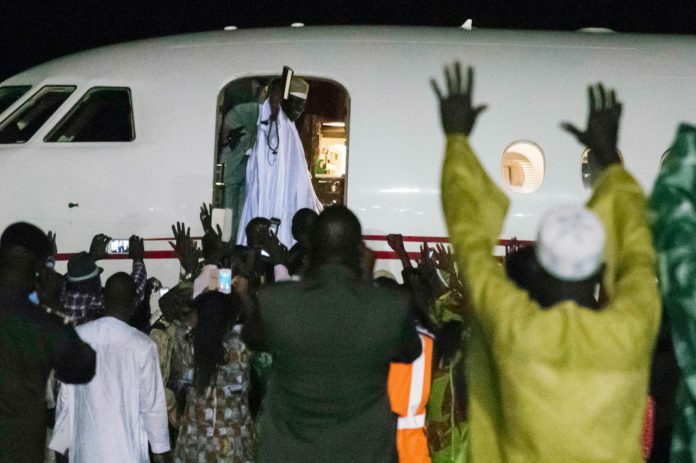 Gambian dictator Yahya Jammeh, has abandoned his election petition challenging the outcome of the December 1st, 2016, presidential elections, which ushered the presidency of Adama Barrow, a former Real Estate Developer, the Freedom Newspaper can reveal. Mr. Jammeh, who is living in exile in Equatorial Guinea, has decided to withdraw the election he filed last year before the Supreme court. His retained lawyer Edward Gomez, made a request in court on Monday, for Jammeh’s petition to be removed from the Supreme Court registry. Former dictator Jammeh dragged Gambia’s Election Office (the Independent Electoral Commission) and president Adama Barrow to court challenging the legitimacy of the past elections. Jammeh alleges voter irregularities among others to reject the election results. Addressing the court headed by Chief Justice Assan Jallow, Counsel Gomez, said he has been instructed by his client to withdraw the petition. Gomez was told by CJ Jallow that he needs to come up with a formal application for withdrawal of the case, and he agreed. Mr. Gomez is expected to file a motion to have his client’s petition dismissed with prejudice in the next court sitting. The Gambian state did not raise any objection to Gomez’s request to withdraw his client’s pending election petition. The matter was adjourned to May 24 for the Supreme Court to grant Gomez’s upcoming motion for withdrawal of Jammeh’s election petition. In another development, the newly hired Supreme and High Court Judges were sworn into office. The oath of office was administered on the new judges.